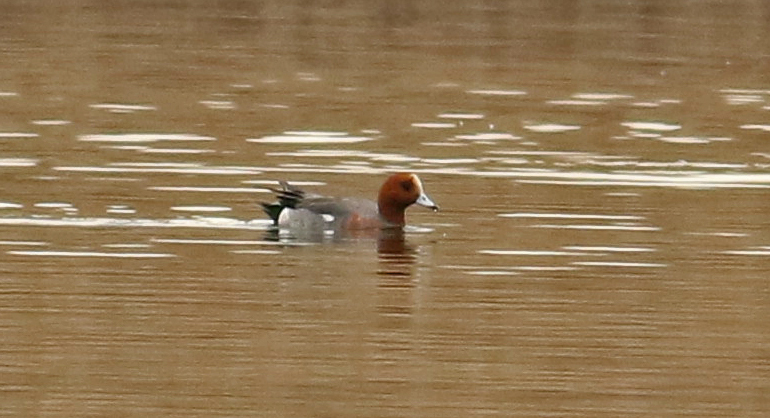 Drake Eurasion Wigeon at DeKorte This Morning! For the second consecutive morning Chris Takacs spotted a Drake Eurasion Wigeon, an uncommon visitor to these parts, in the impoundment off the Marsh Discovery Trail in DeKorte Park. Come on out and see for yourself!